You can make a ball and begin playing with it. If your child is interested and wants to have a ball of his/ her own, have them request it! For children at the 1- word level, model “ball”. For those at the 2- word level, model “more ball” or “make ball”. 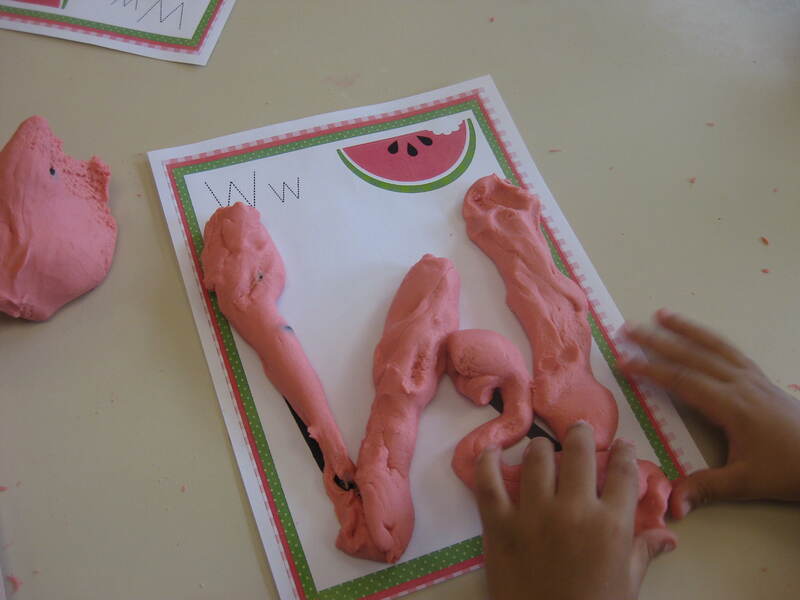 Model modeling the target word or phrase 3 times for the child and encourage imitation with the phrase, “You say___.” Hopefully, the child will repeat your model by the third attempt but even if they have not, you have still just made your playdough fun and rich in language. Give your child a choice between different toys (e.g. cookie cutters, rolling pin, plastic knife, play animals) to use during play. Make a ball. Put it under the table. Roll a ball and then squish it. Show your child how to complete the actions if he/ she needs help! 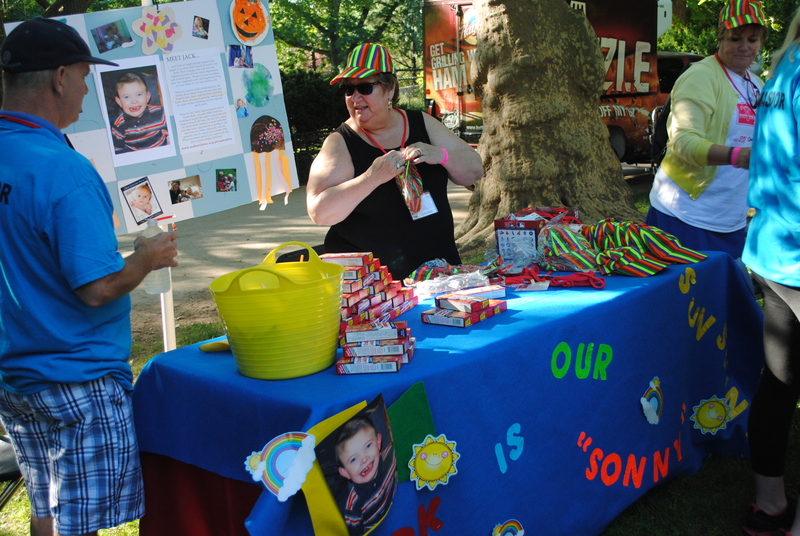 This entry was posted in Uncategorized and tagged Early Intervention, Easter Seals, encouraging talk, kids activities, play dough, play dough activities, speech skills on June 26, 2014 by Easterseals. In the Approved Private School, where children have multiple disabilities (including the inability to talk, walk, use their hands or even play) and have very complex medical conditions and needs, it is very exciting when a child (or children) does (do) anything that comes close to what a child without disabilities can do. In the Philadelphia Division we have two little girls, Jenna and Maria, who have formed a wonderful friendship. 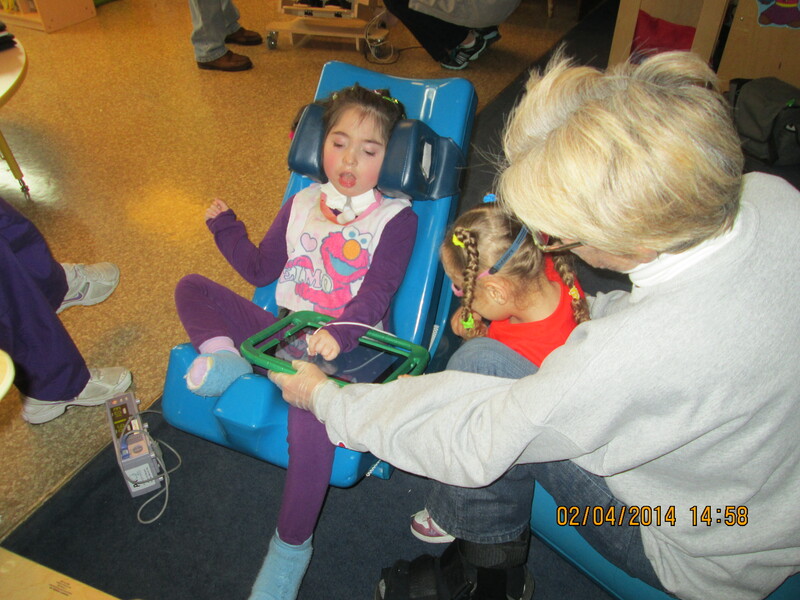 Maria is a child who can talk and will ask everyday if she can visit Jenna, who is in the classroom next door. Maria will usually come over and play with Jenna by sitting with her and using one of the iPads that is filled with wonderful pre-school apps that are easy and fun for our students. 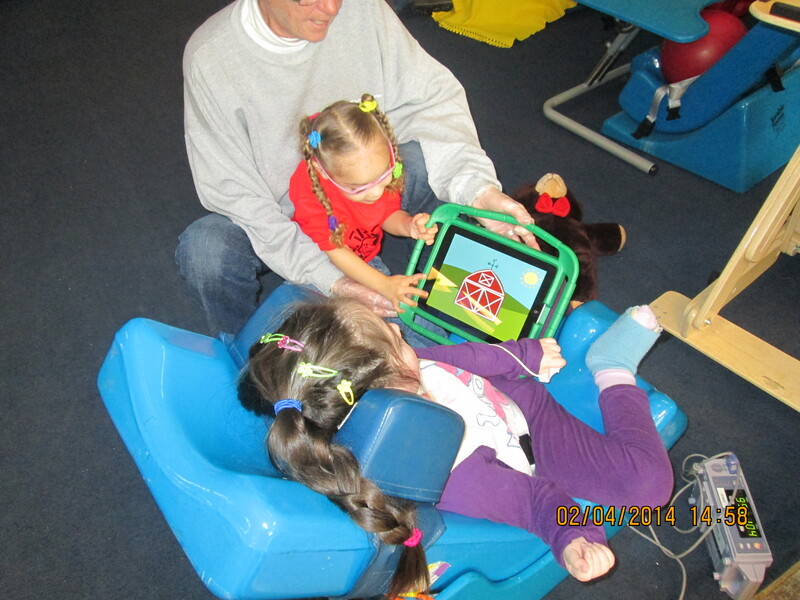 (Thanks to a grant from Comcast, the hard work of our Assistive Technology Department, we have iPads available for our students with the appropriate apps to help increase communication and over success of the classroom experience). Finding ways to overcome obstacle makes the simple joys like friendship possible. Jenna and Maria make us smile everyday. This entry was posted in child stories and tagged app for kids, Approved Private School, Comcast, Easter Seals, Easter Seals of Southeastern PA, iPads, preschool on June 18, 2014 by Easterseals. 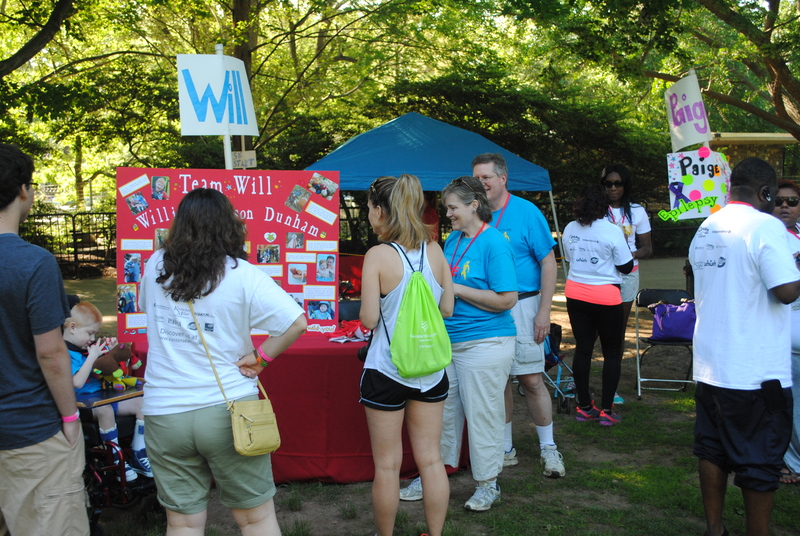 On Saturday June 7th, close to 800 people came together at the Philadelphia Zoo. Our ambassadors, JJ, Paige, Jack, Will and Reggie helped make the day even more special! Walk With Me is an amazing day that truly highlights the sense of community and collaboration that helps define Easter Seals. Together, donations, both big and small, helped us achieve close to $100,000. We hope the day was memorable for everyone who participated. We are grateful for the support that will have impact that will last throughout the year. If you would like to donate to Walk With Me, there is still time, find out how here. This entry was posted in Uncategorized on June 11, 2014 by Easterseals. Walk With Me is almost here! The energy and enthusiasm of everyone who participates is what makes it an amazing day. For many of our families, that enthusiasm carries throughout the year. Will, one of Honorary Ambassadors is a perfect example. 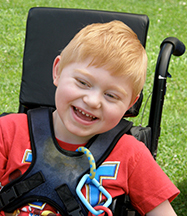 His parents are amazing champions for his success and they work closely with the staff at Easter Seals to really maximize Will’s independence. We hope you have the opportunity to meet Will and his family, we know you’ll love them as much as we do! Will is a well-traveled five-year-old having been to 15 states and Washington, DC. Nothing holds him back from seeing the world; but how he sees the world is a little tricky. In addition to developmental delays, Will has cortical visual impairment. Though unable to see at birth, through specialized therapy, his eyes are being trained to see. To achieve this, it is critical that his vision therapy be integrated in every therapy he receives. 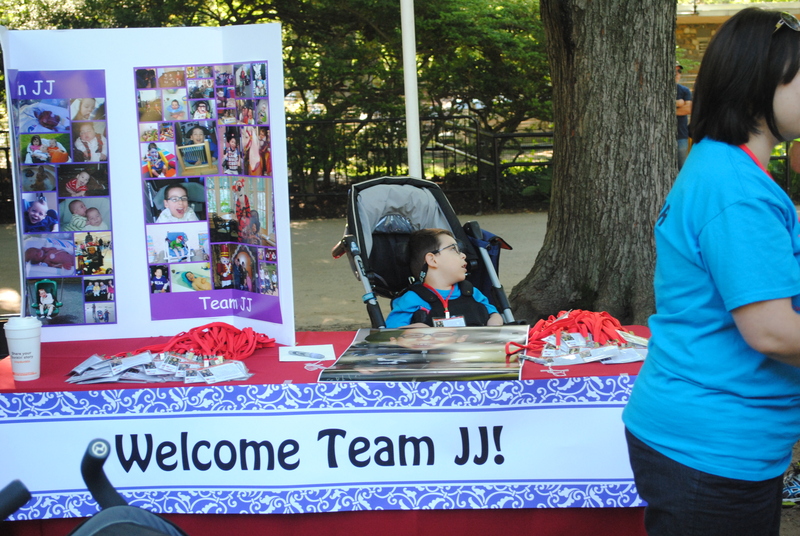 This specialized approach is why his parents chose Easter Seals. Since Will began receiving services, his ability to see the world around him is improving constantly. Will’s parents are happy to report that he now can see at least 18 feet and they credit the skill, care, and dedication of his Easter Seals team. Not only has his vision improved, he has become more mobile, and his tone, strength, and fine motor skills have all improved! All of these strides allow him to do some of his favorite things: swimming, playing, and listening to music. 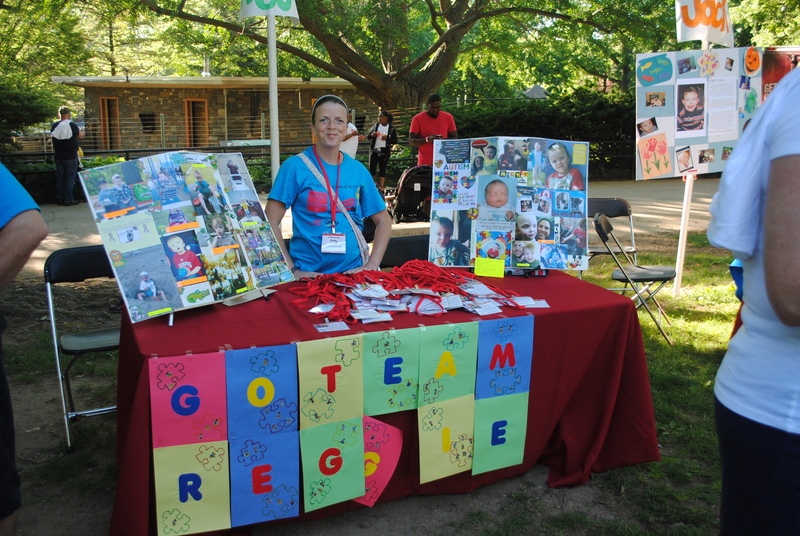 This entry was posted in child stories and tagged cortical visual impairment, Easte Seals, Easter Seals of Southeastern Pennsylvania, Honorary Ambassador, Walk With Me on June 5, 2014 by Easterseals. 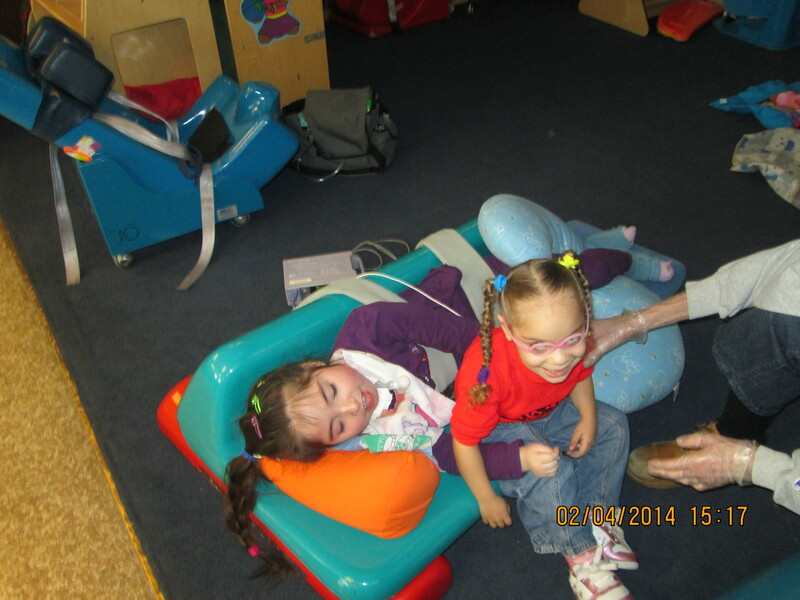 Everyone loves sensory play! It is full of cool textures, sights, sounds, and smells. 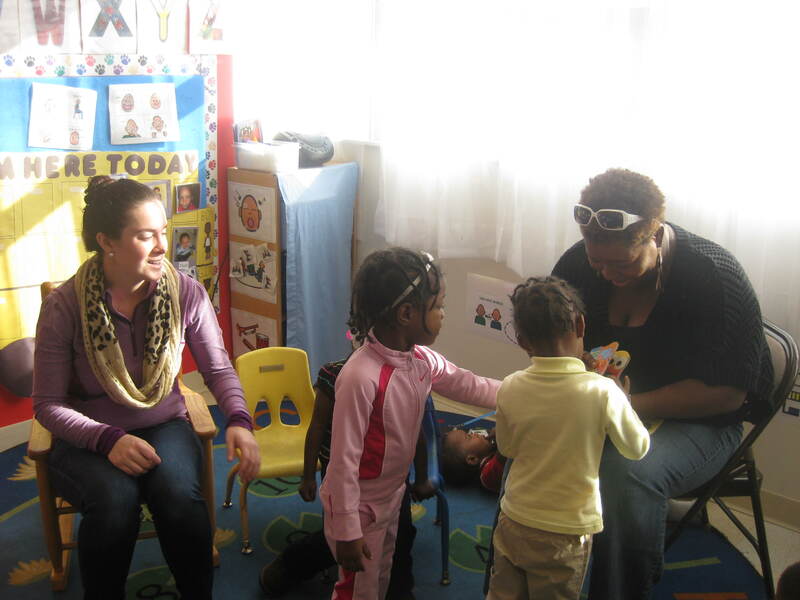 It can help children self-regulate, fulfill different sensory needs, explore, and interact with their peers. All children can benefit from sensory play and for children with special needs, it is crucial to have sensory play integrated into the day. However, sensory play isn’t just fun, it serves another important purpose- to help children learn. Children learn about their world through their senses and quality sensory experiences can help children develop an understanding of the world around them. When we as adults create sensory experiences for children, they should have a purpose. 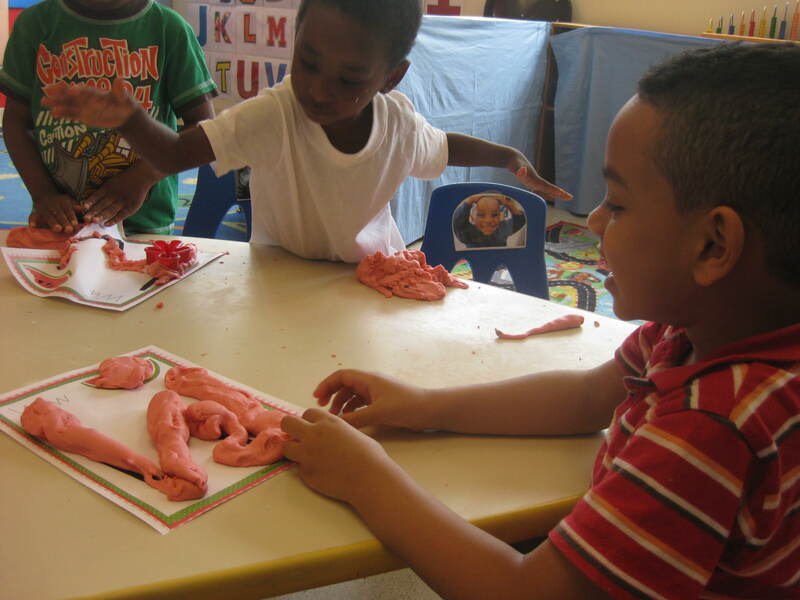 Use fun materials that feel cool like Play Dough, Moon Sand, and shaving cream but also give children a prompt or a challenge when playing with these materials. Fill a bin with rice and cups for scooping, but also challenge children to explore what it means to be full, empty, heavy, and light. 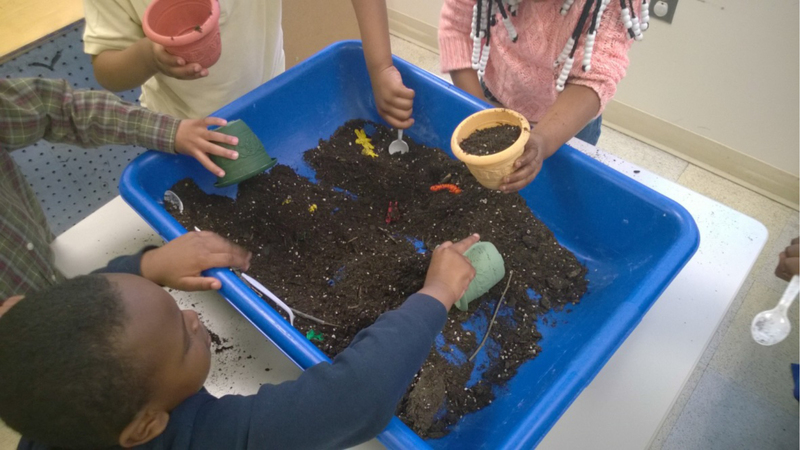 Instead of creating materials for children to play in all of the time, use real-world materials to provide a sensory experience and help children learn new skills (like planting seeds in dirt). Sensory bins can be themed to help students explore different topics and make connections to stories and songs, and sensory bins can help students learn pre-academic skills such as letter and number recognition, counting, colors, and shapes. We as adults just have to make sure that when we provide these sensory experiences for children, they are rich with opportunities for children to discover new things and develop new skills. 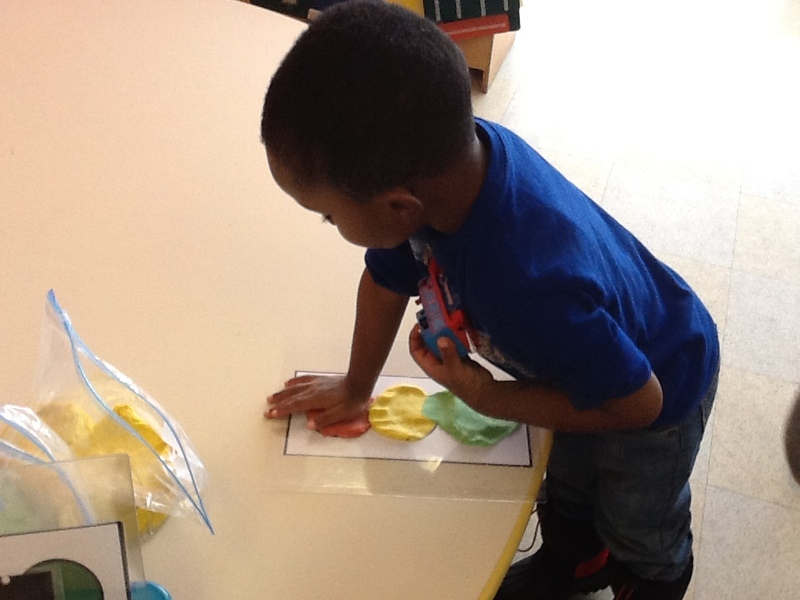 In this sensory bin, children explore size, weight, and color using dirt, pots, and toy bugs! In this autumn sensory bin, children practiced colors, counting, and finding out how many leaves and pumpkins they could fit into a basket. Melissa Caiazzo has been teaching Special Education for 4 years, working in high school, elementary school, and preschool. She also spent 4 years as a head counselor in a camp for children and teenagers with special needs. She has been with Easter Seals for about two and a half years both as a substitute teacher and classroom teacher and has had the opportunity to work with all kinds of kids with different disabilities. 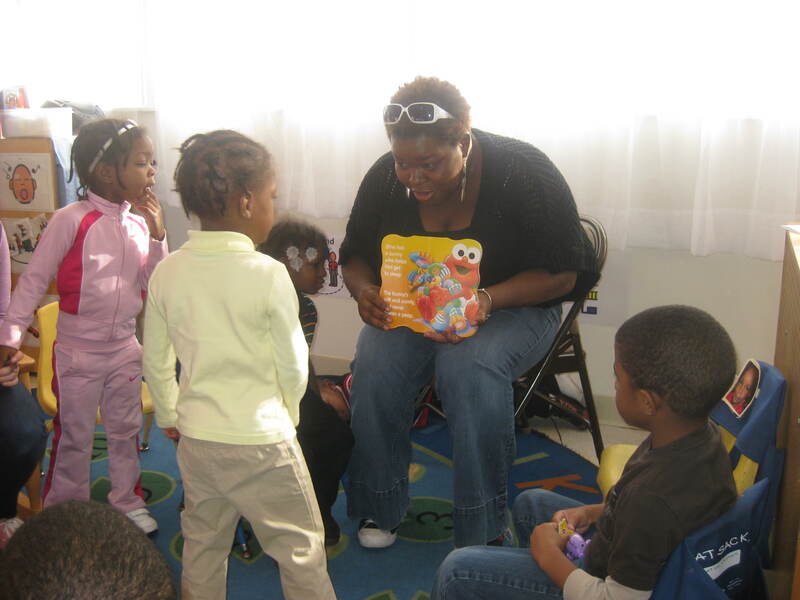 Her favorite part of her job is watching each young child grow and develop in his/her own way. Melissa is also a musician and you can catch her singing and dancing with her students (and teacher assistant!) on a regular basis. 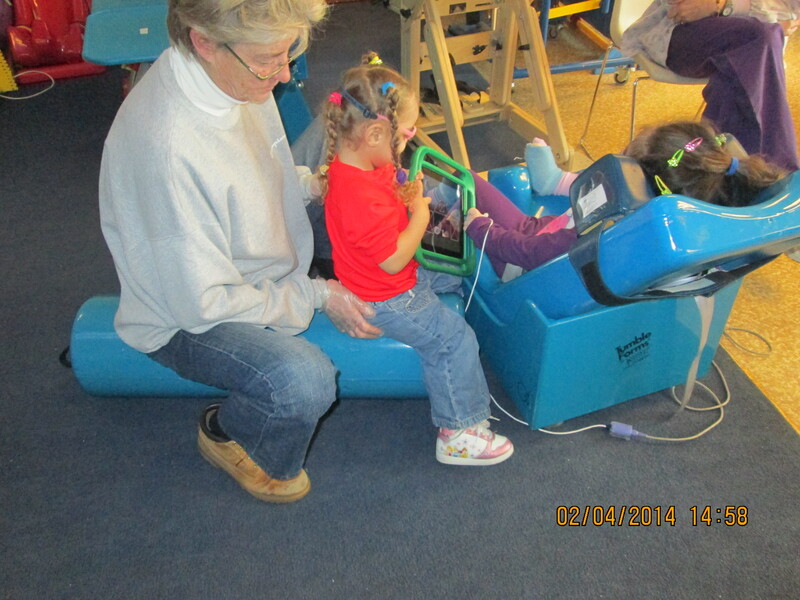 This entry was posted in From the teacher, Occupational Therapy, Tips from therapists and tagged Early Intervention, Easter Seals, pre-academic skills, sensory experience, sensory needs, sensory play on June 3, 2014 by Easterseals.